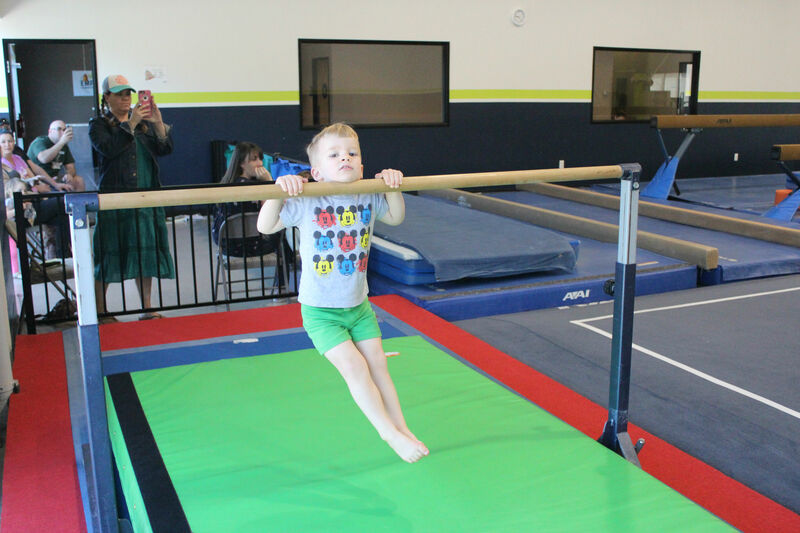 Below is a list of offered classes with a brief description to help you best choose a class for your child. 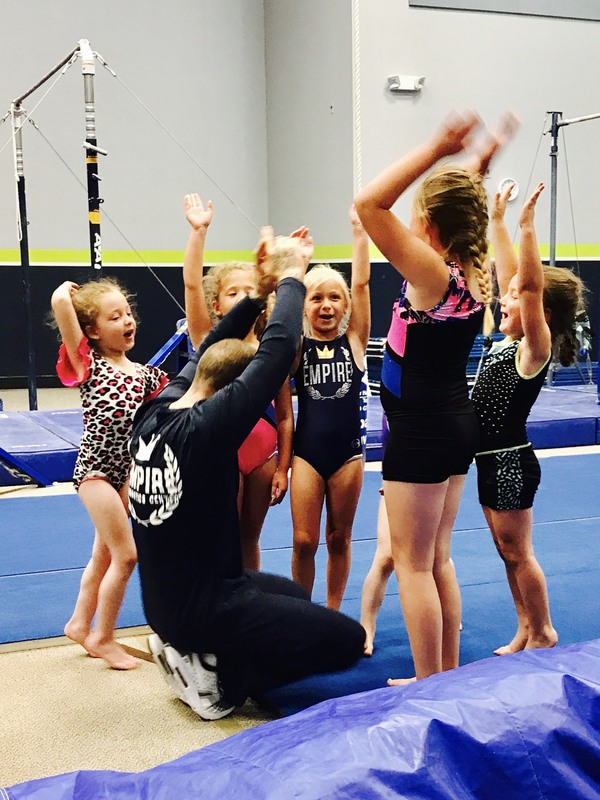 Empire offers several programs for families to choose from from recreational to competitive levels. 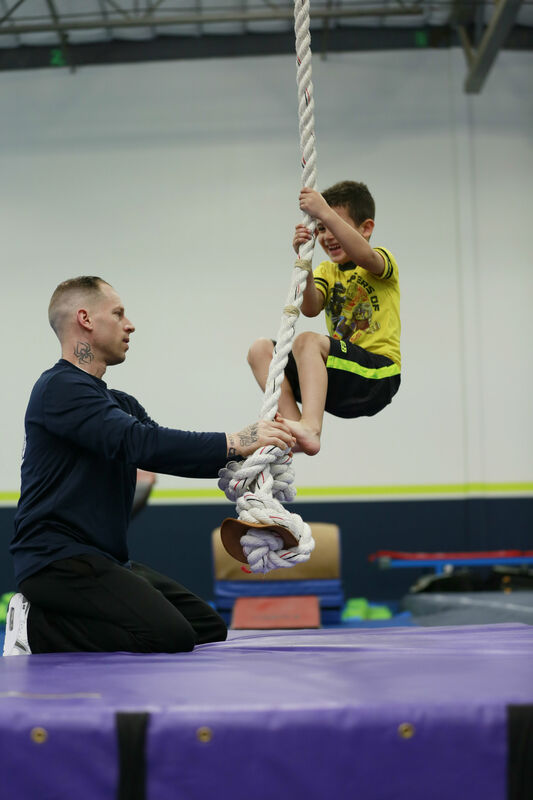 With each program we help children to set and achieve short as well as long term goals while motivating them and building self-esteem. 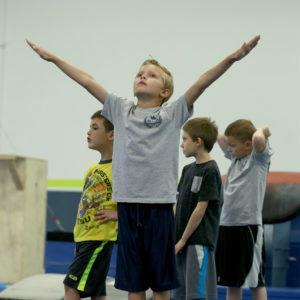 More classes to come, stay tuned! 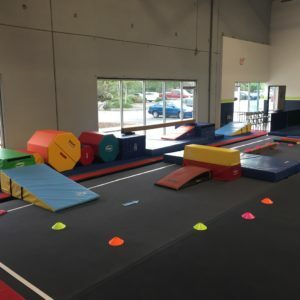 This 45 minute class is designed to enhance your child’s coordination, motor skills, listeneing and social interaction through fun and exciting activities. 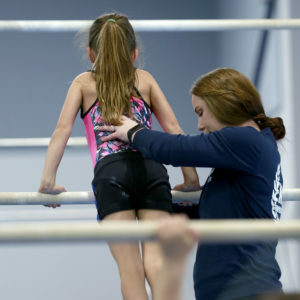 An adult is required to actively participate with the child. 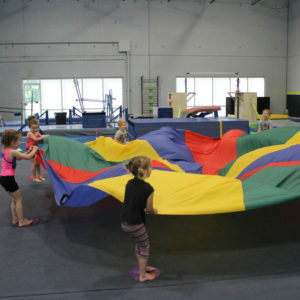 This class is offered to children who are walking – 3 years of age. 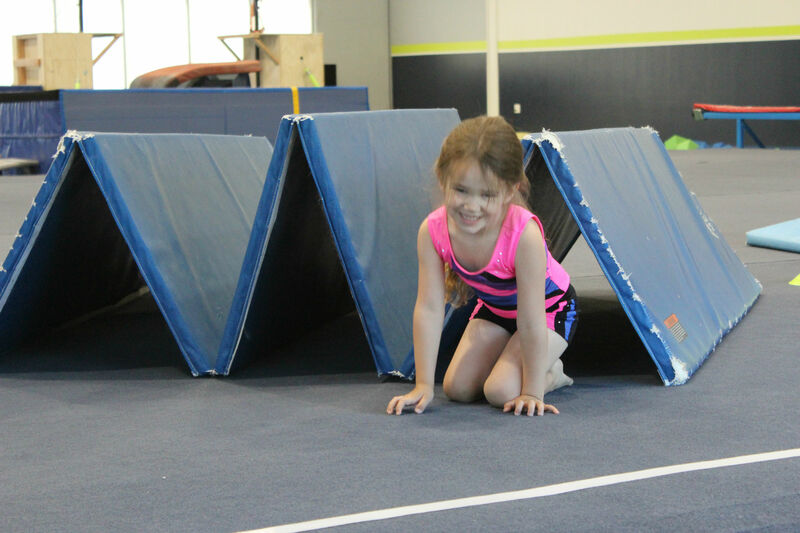 These 45 minute classes are the 1st step in your child attending a class without a parent participating with them. 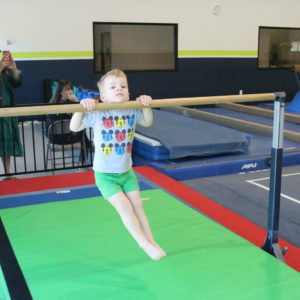 These classes are offered to children ages 3-5 years of age. 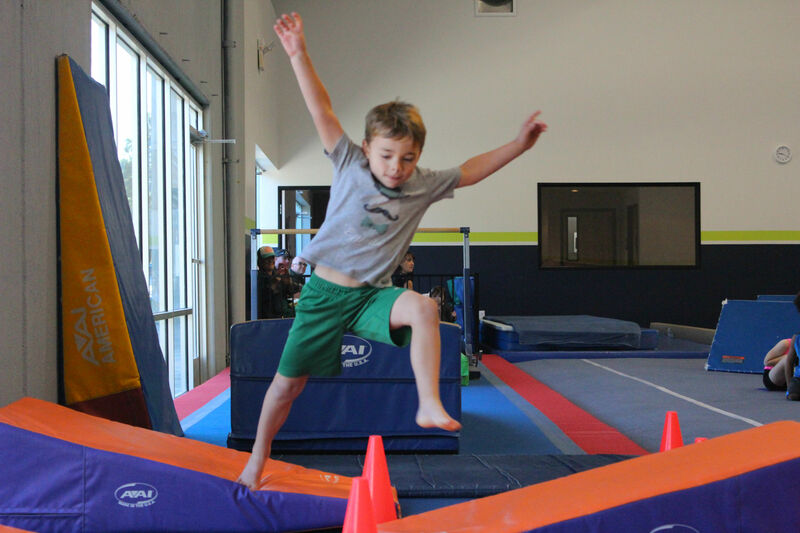 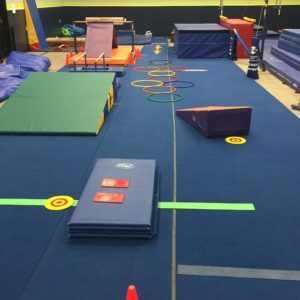 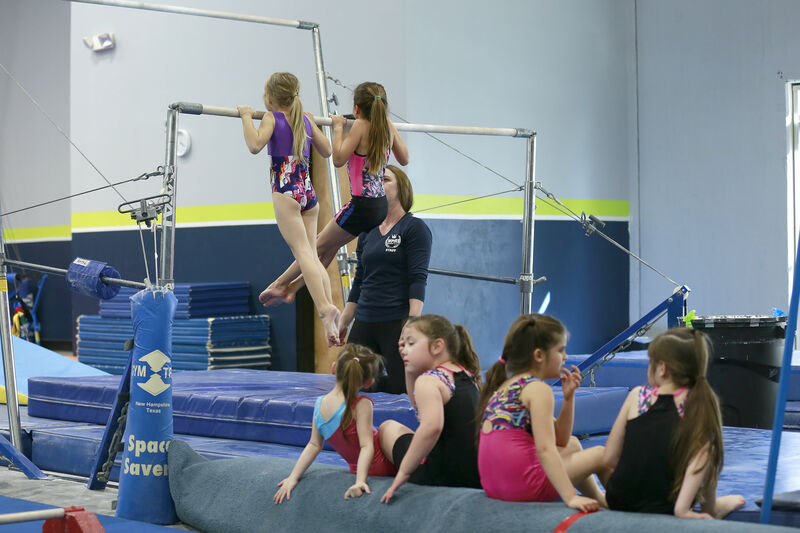 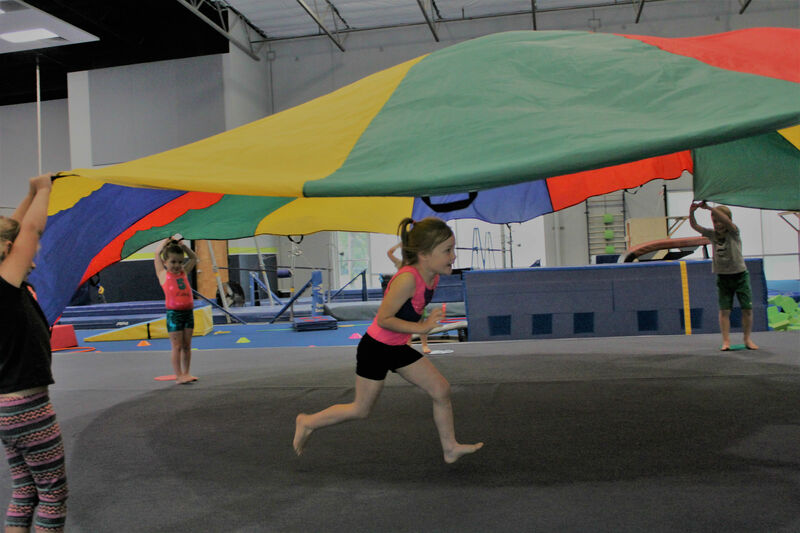 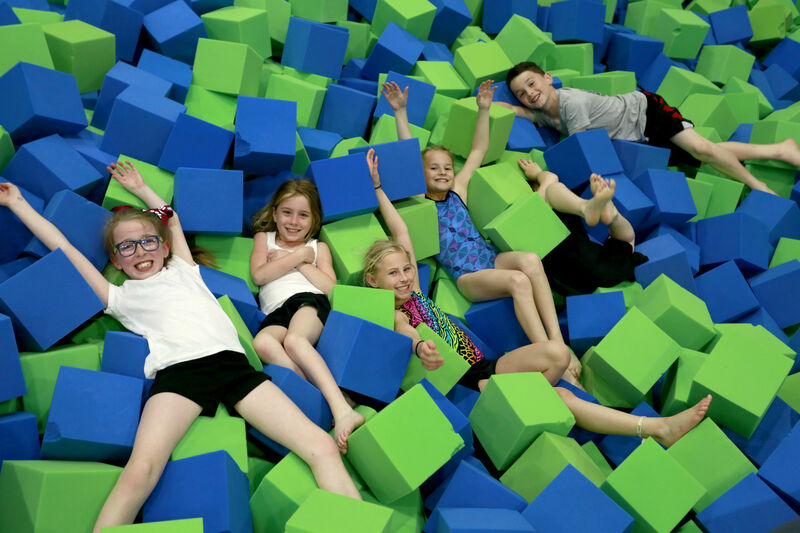 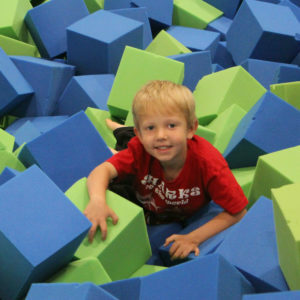 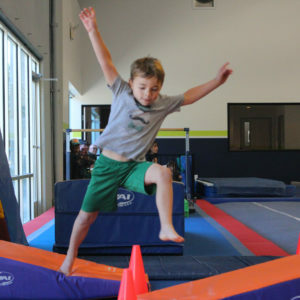 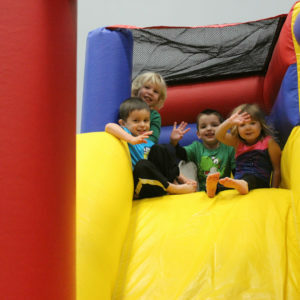 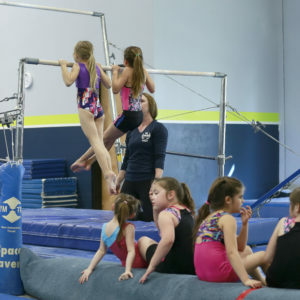 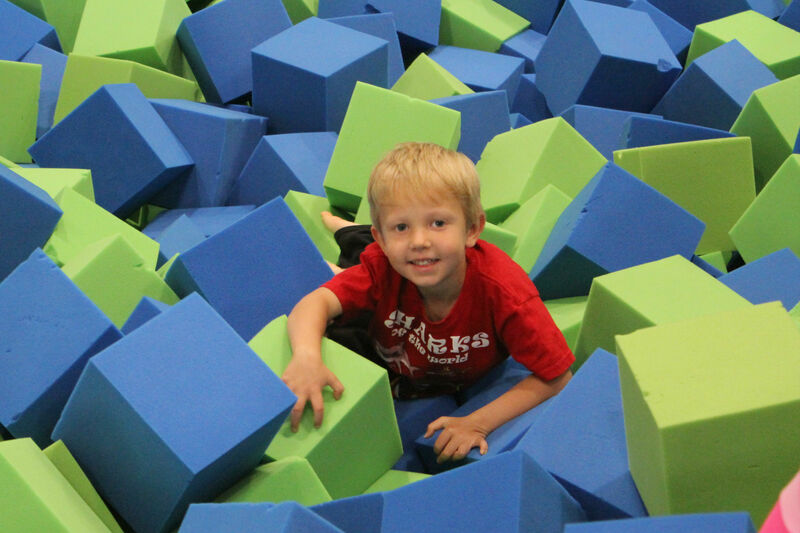 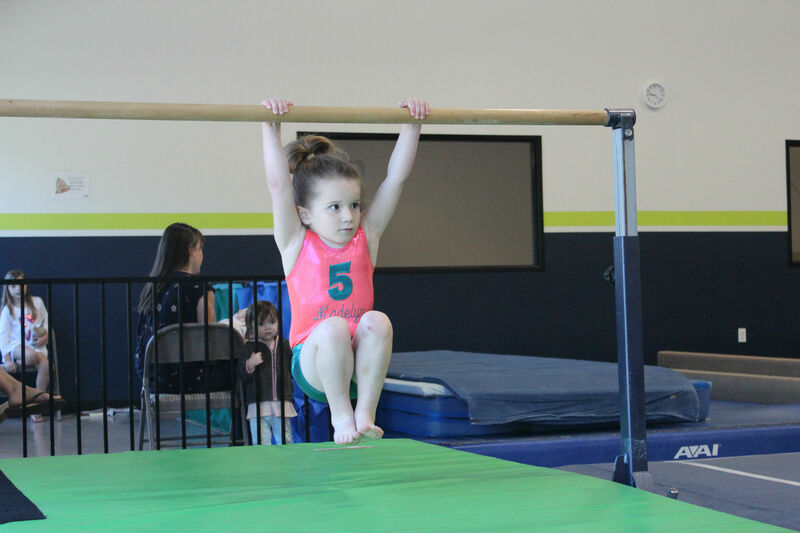 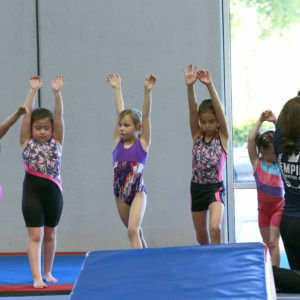 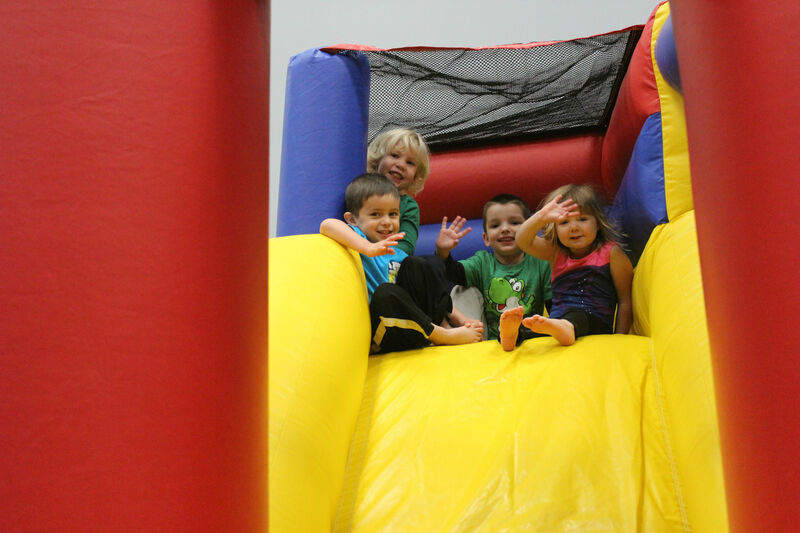 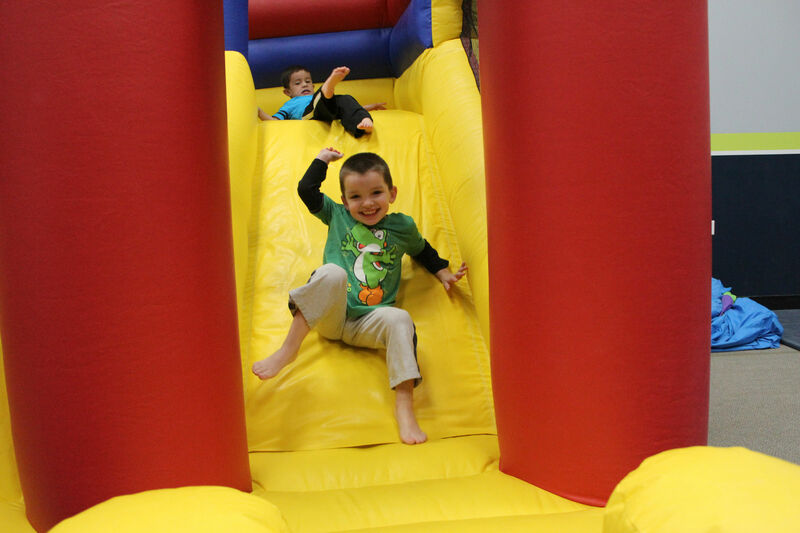 Activities includes several obstacle courses that incorporate all aspects of Gymnastics including: Tumbling, Bars, Beams, Coordination drills, and other activities to help with Motor Skills. 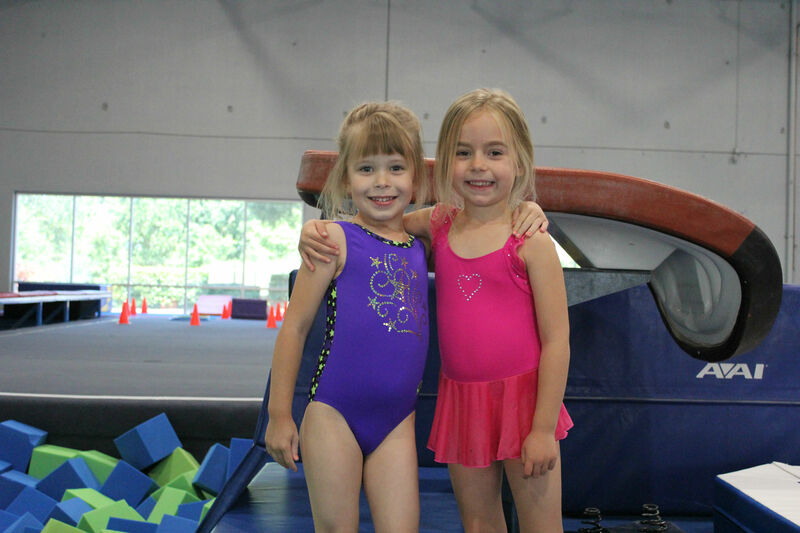 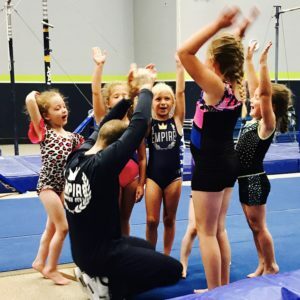 These classes will help your child learn the basic skills of gymnastics while boosting their self confidence! 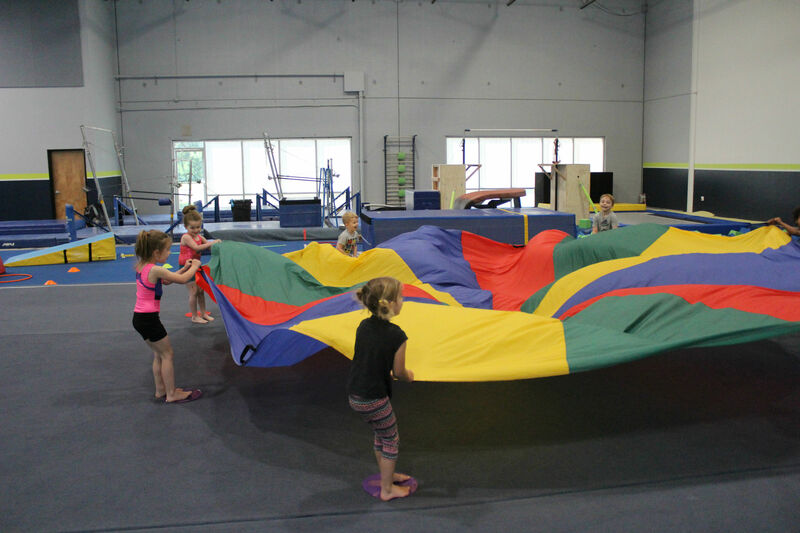 These classes range from 55 minutes to 1 hour and 25 minutes. 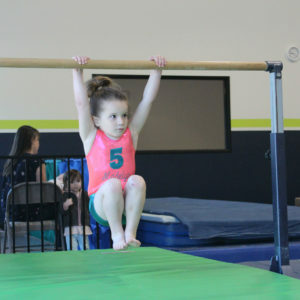 Class levels consist of Girls 1 (Beginner), Girls 2 (Intermediate), and Girls 3 (Advanced). 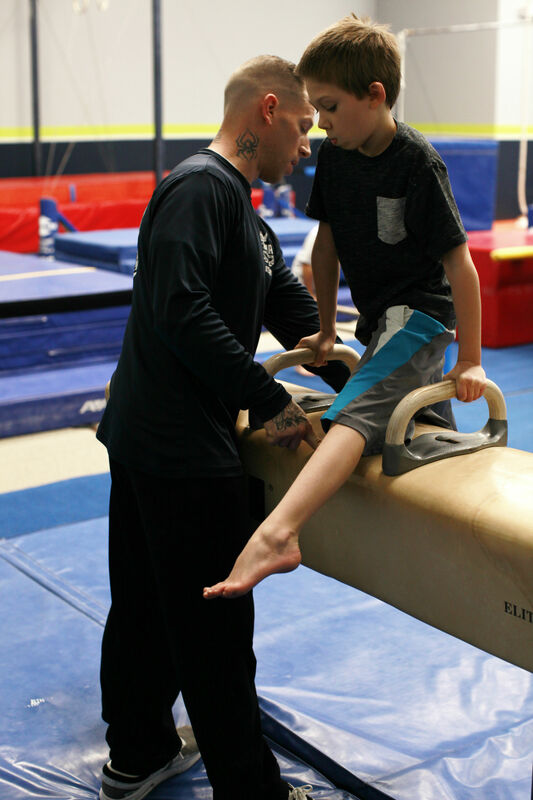 Each of these classes require skills that must be achieved in order to advance to the next level. 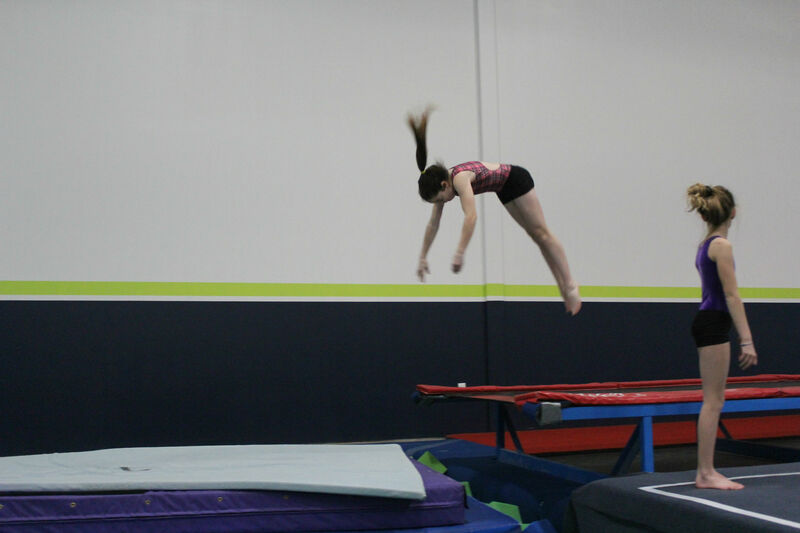 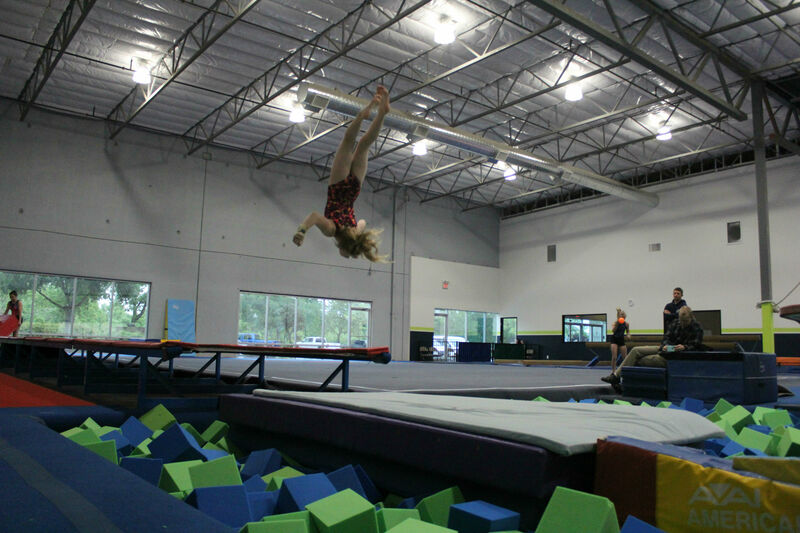 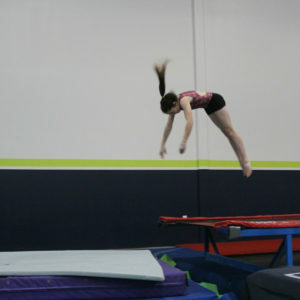 Activities include Vault, Bars, Beam, Tumbling (Floor Exercise), Trampoline, Dance, Conditioning, and Flexibility. 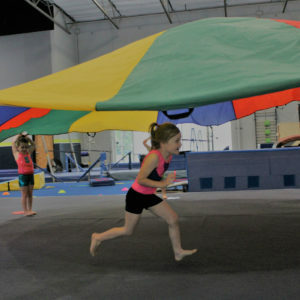 These classes range from 55 minutes to 1 hour and 25 minutes. 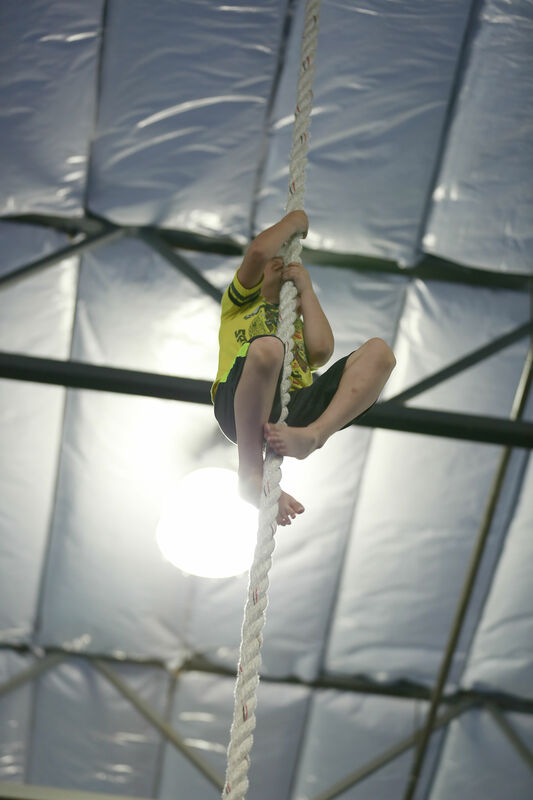 Classes levels consist of Boys 1 (Beginner), Boys 2 (Intermediate), and Boys 3 (Advanced). 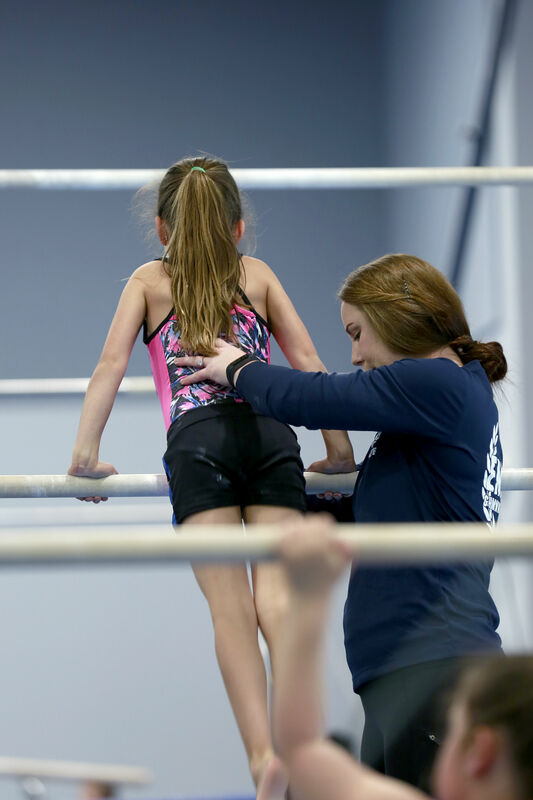 Each of these classes require skills that must be achieved in order to advance to the next level. 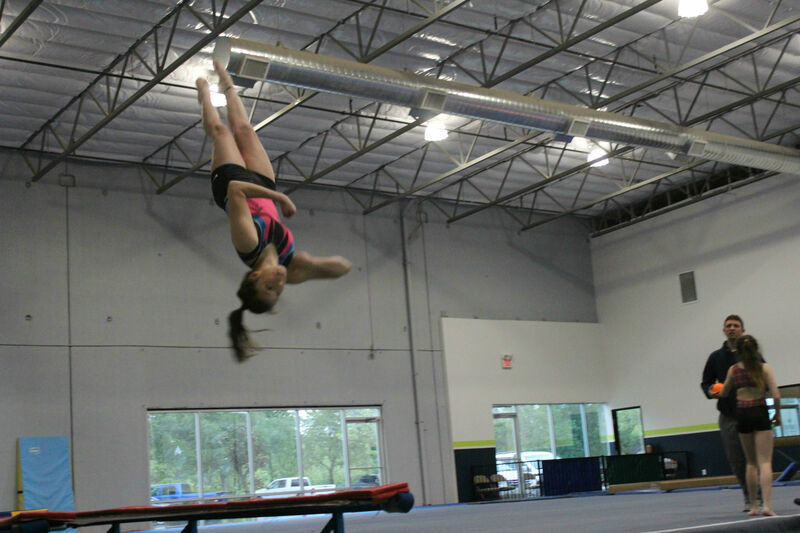 Activities include Tumbling, Pommel Horse, Rings, Vault, Parallel Bars, Horizontal Bar, Trampoline, and Conditioning. 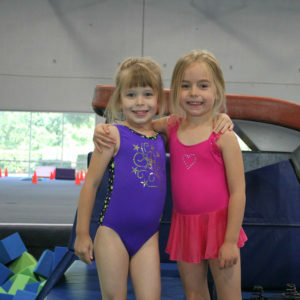 Celebrating after a great class! 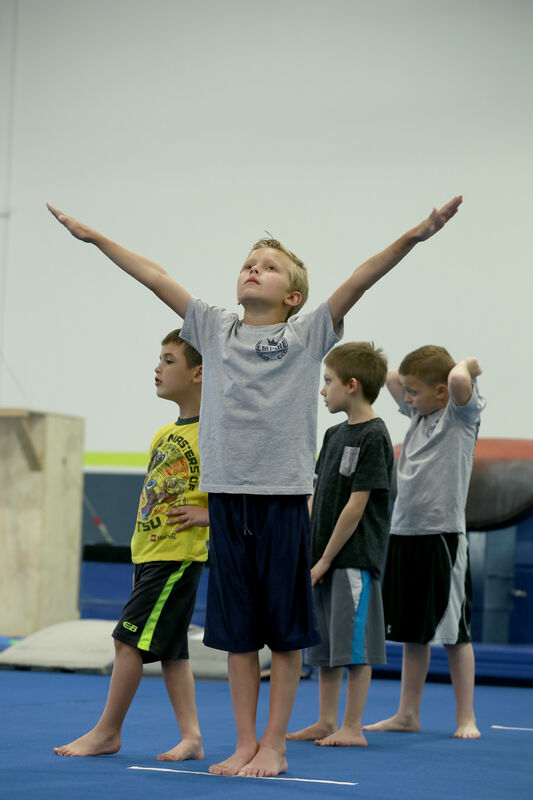 These classes range from 55-60 minutes for both Girls and Boys who are interested in learning to tumble. 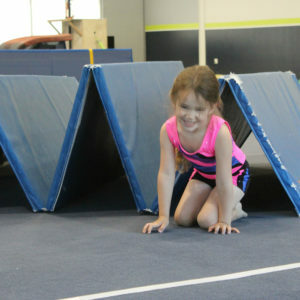 Tumbling classes range from Beginner, Intermediate, and Advanced levels. 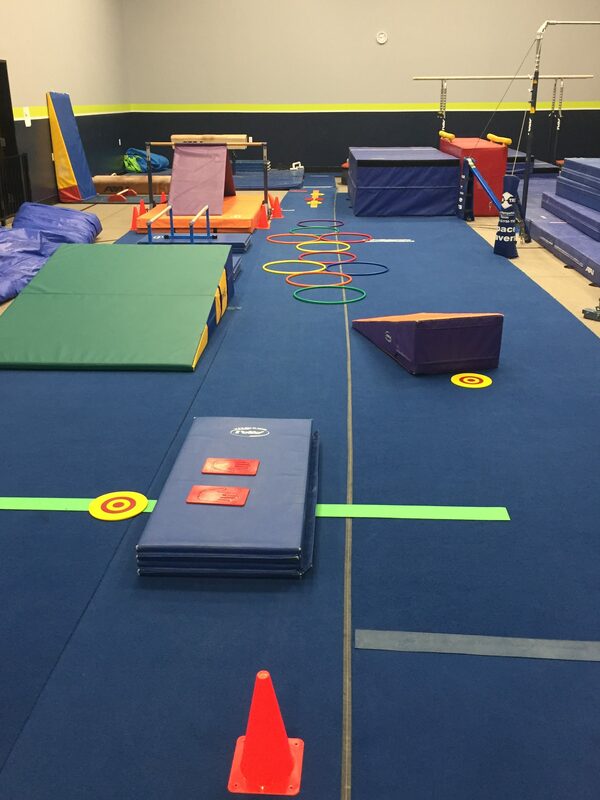 Activities include Floor Exercise, Trampoline, and Conditioning. 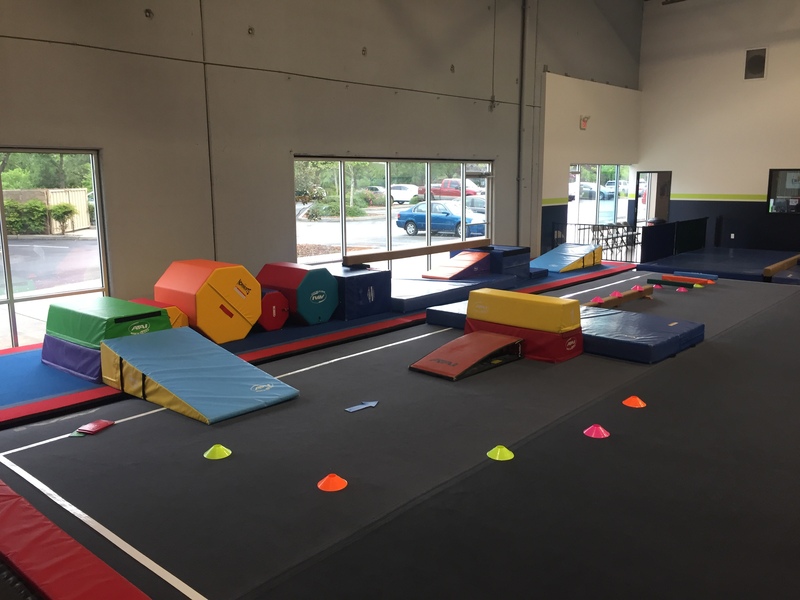 Tumbling classes will also complement athletes who are looking to set themselves apart in other sports such as dance, karate, cheerleading, diving and many other sports! 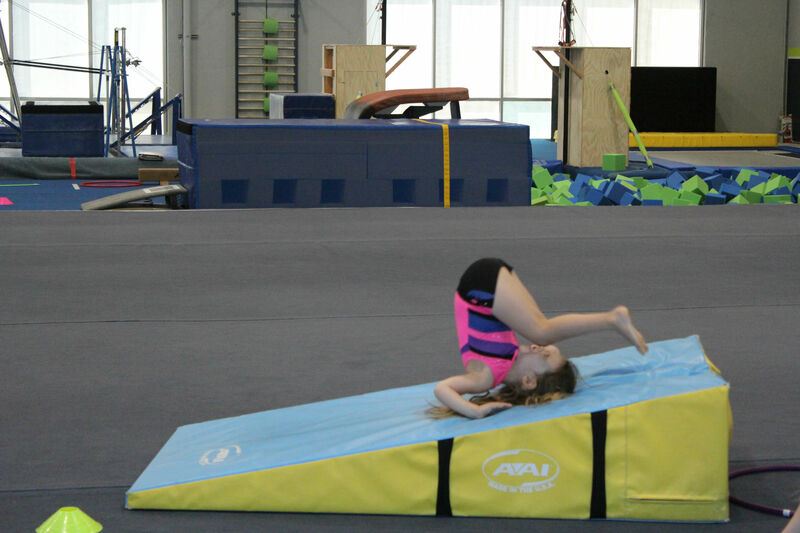 Below is a brief description of each of our tumbling classes.